The Buzz flew around the forest, eagerly looking this way and that for something to do. Her green eyes flickered, glowing a bright viridian in the quickly-fading light filtering through the trees. 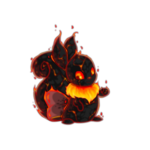 Jace gave his Neopet a particularly meaningful look, then located one of the flatter, drier-looking stumps in the vicinity. He took a seat, letting out a sigh, and cupped his hands over his mouth. "Lyn, don't you think it's time to go back to Neopia Central by now?" She laughed, and continued to flutter around the foliage, peering curiously at the giant spyder webs between trees and the empty birds'-nests placed evenly within the branches. He sighed again, and stood up, dusting himself off. "Well, if you're not going to be coming with me," he announced, "I think you're going to have to find your way home yourself. In the dark." Gasping as well as a Buzz like her could, Lynassus quickly took to the skies, landing right in front of him. "Why're we leaving so soon?" she queried, putting on her best Spardel-face. "Why can't we stay?" Jace couldn't help himself. Betraying a hint of a grin, he started to weave a tale. "Do you know what the Brain Tree is, Lyn? Do you know why it's there?" Lyn blinked and stopped flapping her wings, gently landing on the soft, pliable soil of the Haunted Woods. "You see, dear, the Brain Tree is no ordinary tree -- Lyn, are you listening?" Jace pretended to admonish her. "Why can't you keep still? All you're doing today is just buzzing around, doing your own thing -- pardon the pun," he added, as the Buzz gave him a wounded look. "Anyway." "In days long, long ago, the Brain Tree was just an ordinary oak tree. Then again, the Haunted Woods weren't so haunted back then. You know what they were called? The Forest of Dreams." "One day, a young Buzz -- not too much older than you, in fact, Lyn -- called, oh, say, Jordan, decided he wanted to take a zip into the Forest. After all, it was an altogether safe place, right, dear? Not dangerous at all, especially if you're taking a bet with your friends on which one of you is the bravest, eh?" Lynassus nodded cautiously, and at that, he continued enthusiastically. "Well, he thought so too. He was a bit of a hot-shot, after all -- he always had the newest Petpets, the coolest toys, the best books, and he wasn't afraid of anything. 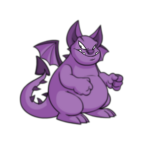 This fear of nothing got him the respect of every Neopet worth their salt around. But this lack of fear would end badly." "This isn't a particularly interesting story," the Buzz muttered under her breath. Jace subjected her to another look. "Hush up, and it'll get better. "So this Buzz, Jordan, he and his friends think it's funny to dare each other to wander around in the Forest of Dreams, even though their owners say they shouldn't. Jordan's the bravest one of all, as we've already mentioned, and so all his friends ask him to do all the big, exciting things. They have him throwing rocks at passerby, climb trees, and eat sweets that've fallen on the floor. Really bad things, don't you think, Lyn?" Jace raised a brow. "Lyn?" The Buzz woke with a start at the sound of her name, barreling into his chest with a snort. "Eh?!" she cried, confused, as she bounced off of him and fell backwards. Thankfully, she caught herself mid-fall by sticking her arms out behind her, but she still winced on contact. "You were supposed to be listening to my story, Lyn. You know. Brain Tree. Haunted Woods. Why we don't stay out. Remember?" The look on his face was positively beatific, yet his words were spiked with venom. "Remember?" Lyn took it as a sign that today was not a good day to ask to stop at the Bazaar on the way home. "Late in the night, when everyone's tired," Jace started once again, with an air of resignation, "Jordan decides he wants to prove himself to everyone, by sneaking out into the Forest by himself in the dark. And so he does. "It's dark, stormy, and misty. The trees are blocking out any light that might come down from Kreludor. Literally pitch black. It's so dark, you could--"
"Enough already!" the Buzz said, covering her face with a hand. "Get on with it." "It's for purposes of atmosphere," Jace shot back, now glaring at his Neopet. "He walks deep into the woods, farther than he's ever gone before. So far that now, he can't tell where he is. He gets lost in the woods, without water, food, or shelter. The basic essentials needed for life -- well, survival, anyway." "And then, he starts hearing noises. The usual, of course," Lyn breathed under her breath, sarcasm dripping from her mouth. Her owner pretended not to notice. "Jordan's scared to his muffins, you can be sure of that. This is the first time he's ever encountered fear, did you know that? This brave soul, rendered into a soulless pile of jelly by now. What a shame, really. A giant, giant shame. At least his story makes for a half-decent legend," he mused, more to himself than to anyone else. "So what? Does he die or something?" she asked impatiently. "How does this awful story end?" "I'm not finished yet! Anyway, he tries to wait out the night, but then he hears the noises coming closer and closer. He looks around as much as he can, because obviously it's pure darkness, he can't see squat, and then--"
"-- he comes face to face with a wild Lupe, like the endings to every other story you subject me to?" "Hush, you're ruining my story! While he's looking, the noises have caught up to him, and suddenly, out of nowhere, he sees a--"
"-- ghost? The Pant Devil? Jelly World? Another place slash object slash person that's completely irrelevant to the matter at hand?" "No, he sees a -- OH, MY FAERIES, IS THAT A LUPE BEHIND YOU, LYN?! HOLY KING SKARL!" "EEEEEEEEK!" the Buzz yelped girlishly, and shot up into the air faster than a firecracker, looking worriedly below her for any signs of a rabid Neopet, and only finding Jace rolling on the ground laughing, clutching his stomach for dear life. She merely hovered in the air looking rather dull for a moment as she attempted to reconcile the sight of him making himself look like an idiot with his warning, and then realised what he'd done. Pouting like a disappointed princess, she alighted to the ground at his side, waiting for him to end his somewhat embarrassing paroxysms of mirth. "You know what? I really don't like the Haunted Woods. Let's never go here again," she announced coldly, as Jace's laughter died down. Suddenly, he raised his head up, looking concerned, as she stared at him. Feeling a certain chill in the air, he picked himself up off the floor. And with a noticeably quieter owner in tow, Lyn headed back to Neopia Central.